Our economy Child set includes: Red and White striped stovepipe hat, Red bow tie and White gloves. This is an officially licensed product from the movie "Dr. Seuss' The Cat in the Hat" 2003 Universal Studios and DreamWorks LLC. 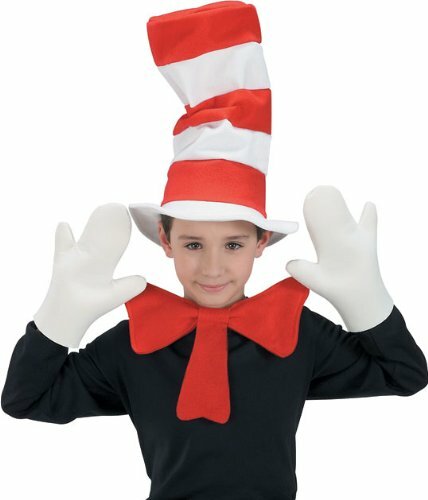 Based on The Cat in the Hat book and characters 1957 Dr. Seuss Enterprises, L.P.